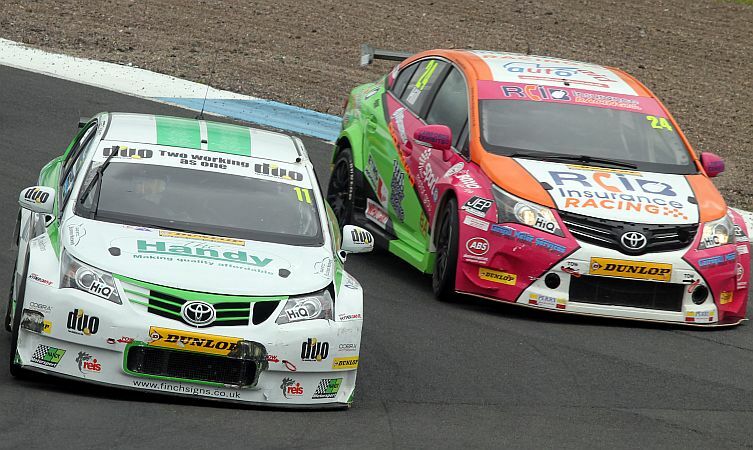 The British Touring Car Championship’s annual pilgrimage to Knockhill, Scotland, always provides plenty of bumper-to-bumper action. Short and undulating, it’s a circuit renowned for its passionate motor racing fans and for delivering a rollercoaster ride in every sense of the word. The layout is known to favour rear-wheel drive cars, so how did the front-wheel drive Toyota Avensis models chosen by the independent teams cope against this backdrop? With only 1.27 miles between start and finish line, the tight and twisty Knockhill circuit in Scotland was always expected to provide bumper-to-bumper action. Indeed in the first free practice session, the top 22 drivers were separated by less than a second. 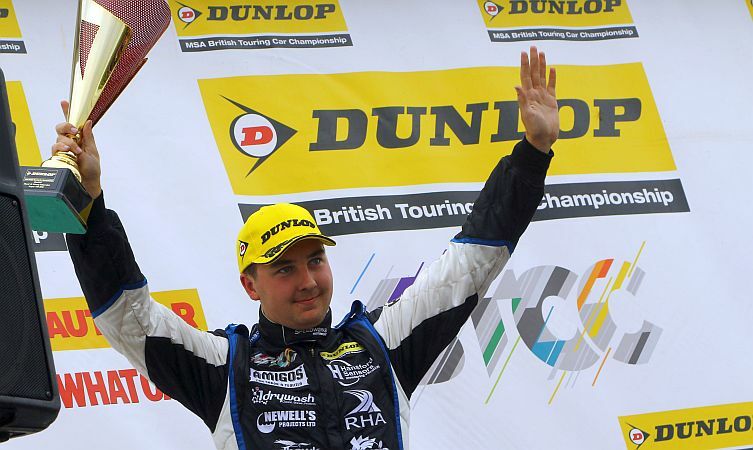 Among them, Tom Ingram was edged out on the fastest time by just seven thousandths of a second. During the second session the Speedworks Motorsport man reaffirmed his status as the championship’s one-lap specialist with a conquering performance that put him and his Avensis in a strong position for the qualifying round. “I’m really happy,” he commented afterwards. 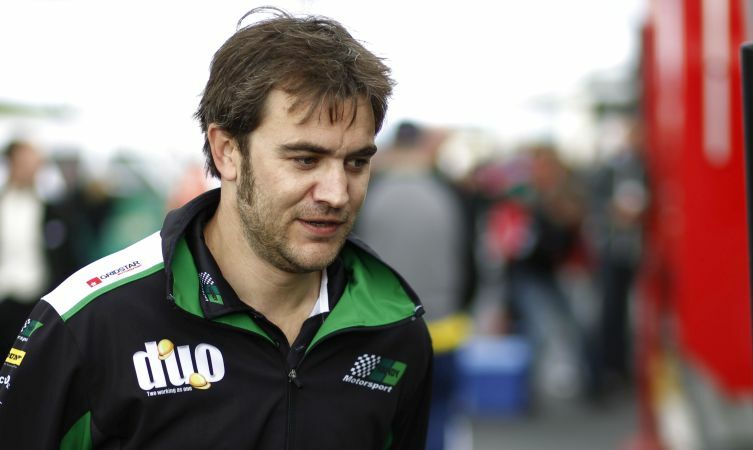 “The car is strong and we’ve made a few positive changes. The pace is some way off last year’s, though, so we expect it to be quicker still this afternoon. We need to find a chunk of time – we know where we need to – as we still believe the rear-wheel drive cars will be very fast in qualifying. Qualifying was interrupted by two stoppages, forcing the competitors into increasingly desperate attempts to stake their place at the front of the grid. At the halfway point, Rob Austin of Handy Motorsport was in a strong fourth position in his Avensis and improved his pace during the final run. But everybody else was improving, too, pushing Austin back into ninth position. 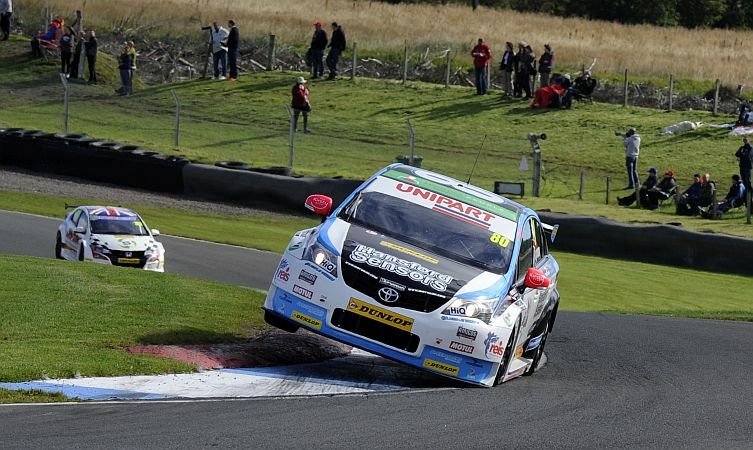 Nevertheless it remained Handy’s best-ever BTCC qualifying result. Meanwhile, Ingram came close to claiming his third pole of the season but was forced to run part-worn tyres after the new set he was running at the beginning of the session was sliced open by some unusual new disc-shaped chicane furniture. 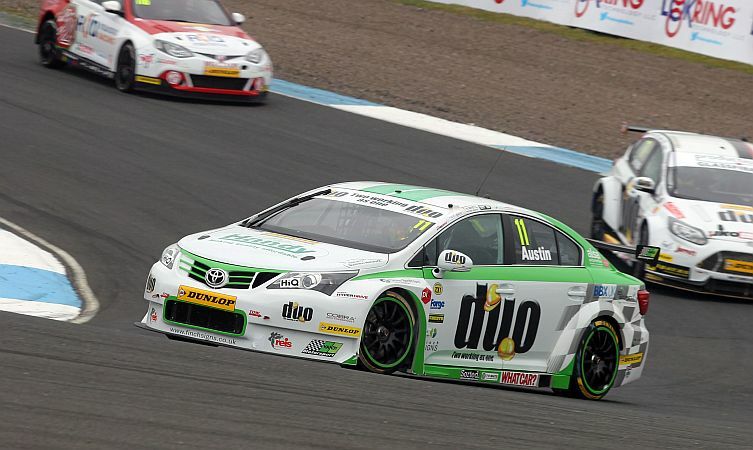 This likely contributed to Jason Plato, the BTCC’s most decorated racer, eclipsing the Speedworks team into the lead. Plato’s position at the front of the grid paid off in a commanding lights-to-flag victory that marked the driver’s 500th race in the BTCC. Although the Knockhill course is known for favouring rear-wheel drive cars, Ingram held on to second throughout the first lap but eventually conceded a couple of places. Nevertheless, fourth place – and a win in the hard-fought independents trophy – is impressive when you consider that all other competitors in the top five were rear-wheel drive. 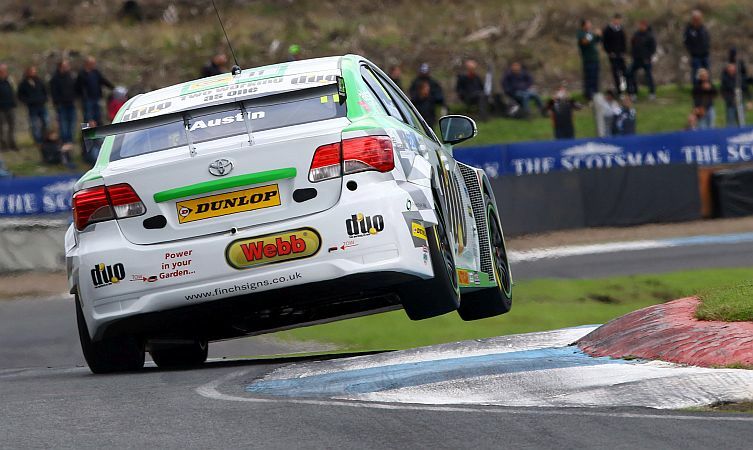 Fellow Avensis driver Austin also made a strong start, moving into eighth before battling and eventually relinquishing a position to hometown racer Gordon Sheddon. With just a few tenths between them, Austin remained glued to Sheddon’s rear and after a late safety car period eventually finished in tenth place. Austin made a good start to round 20, gravitating into another duel with fellow front-driver Sheddon. However, the emergence of the safety car closed the gaps and created an opportunity for the Scotsman to squeeze past into ninth place. Unfortunately, this move opened the door for others to bundle through and shift Austin back into 12th. As a result of this robust action, the Toyota developed a water leak and lost a couple more places in an intense midfield battle that also saw Ingram edged back down the order. But Austin managed to claw his way back into a well-deserved 12th position by the end of the race. The third round of the weekend saw Austin and the Handy Motorsport team’s upward trajectory accelerate even higher. 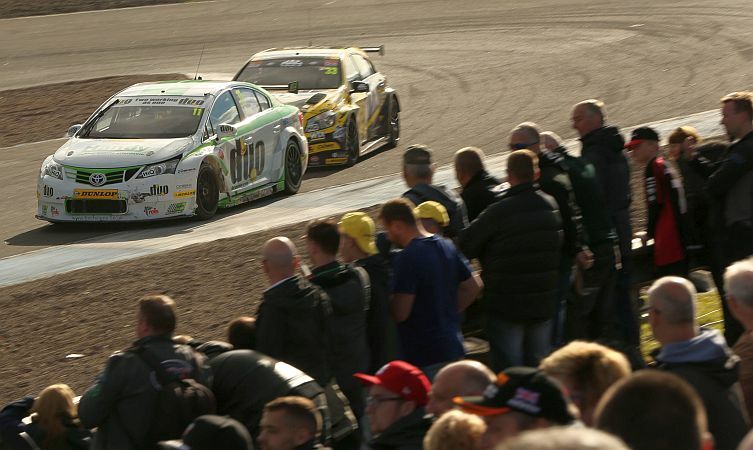 A switch to the soft compound control tyre helped the Avensis driver get enough purchase to leap from 12th to tenth on the first lap, before gaining another position on the following tour. Safety car conditions extended from lap four to lap seven, soon after which another incident involving two drivers immediately ahead of Austin gifted him seventh place. By this point in the race, however, the hard-worked front left tyre was beginning to lose its bite, so instead of pushing ahead to trouble Goff in sixth Austin decided to concentrate on maintaining his place and fend off Adam Morgan in seventh. 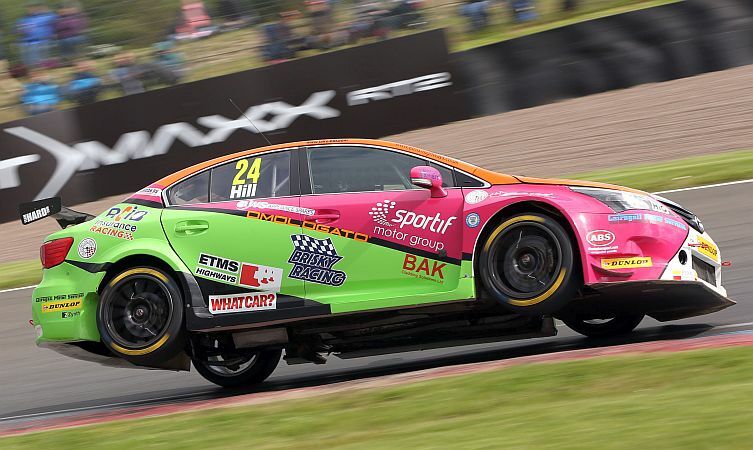 Sixth place was the Handy Motorsport’s team best result yet in the BTCC and has helped them climb to fourth in the Independents Team trophy, just 20 points shy of the top three and ahead of a number of multi-car entrants. What’s more, the team is now ninth in the overall championship. Commenting on the weekend, team boss Simon Belcher said: “It’s been a good, consistent weekend and getting our best ever qualifying was a good start. We had a solid first race, which put in good shape for race two, but Rob got beaten up by everyone in the second race – there was a lot of contact. 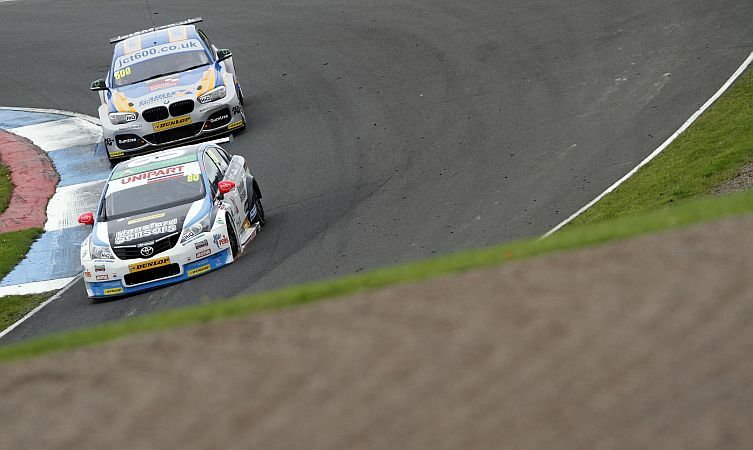 Only two weeks separates us from the next instalment of 2016 BTCC action, with the teams descending on Rockingham in Northamptonshire over the weekend of 27-28 August.